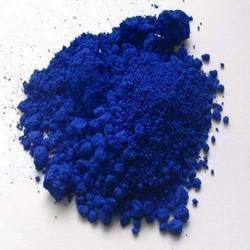 Providing you the best range of dark color metal complex dyes, metal complex dyes, colored metal complex dyes, blue 2g (blue 158), dark blue mtr (blue 193) and black wa (black 52) with effective & timely delivery. Upheld by our rich industry experience we fabricate and send out an enormous range of Dark Color Metal Complex Dyes these which are generally utilized as a part of different applications. Our reach is likewise offered in distinctive bundling to meet the particular necessities of customers. 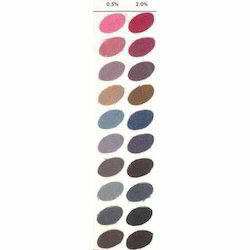 Metal Complex Dyes are known for its speed properties and thus discover application in coloring of fleece, nylon, silk. Our scopes of these are made of good quality material and checked for the quality gauges. 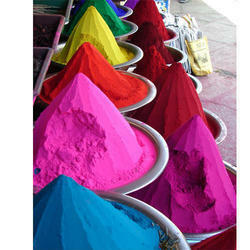 We are one of the solid producers and exporters of a broad scope of Metal Complex Dyes. 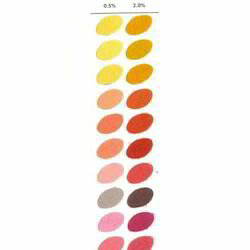 These colors are prepared according to the universal gauges and have the ideal light quickness and wet speed. Metal complex are likewise quality tried at our end before passing them to the customers. These Dyes are utilized for distinctive commercial enterprises like, paint, materials and so forth. We have increased endless mastery in offering an unrivaled scope of these colors in a wide range and we additionally trade these best quality items at extensive costs. Empowered by our levels of exquisite professionals, we are engaged in offering a wide grade of Colored Metal Complex Dyes. The offered complex dyes are processed using quality proven chemical compounds and modern technology by our adept professionals. Moreover, these complex dyes are available in different packaging options as per the needs of our clients. Our provided complex dyes are tested on varied parameters in order to ensure its purity at clients’ end.